What car should have been made with a manual transmission? It's not exactly a secret that around here the manual is the transmission of choice. Even though they are harder and harder to find with each passing year, if we had our choice every vehicle made would forever have an optional manual transmission. With this in mind we started thinking about all of the cars that should have come from the factory with the option to row your own gears but didn't. What car should have been made with a manual transmission? Picking a vehicle that should have been offered with a manual transmission but wasn't seems like another prime opportunity to select a Turbo Buick to answer a QOTW. To me the obvious choice is the Buick Grand National. I didn't make it GNX specific, because I think Grand Nationals and for that matter every other G-body GM ever made should have been available with a manual. 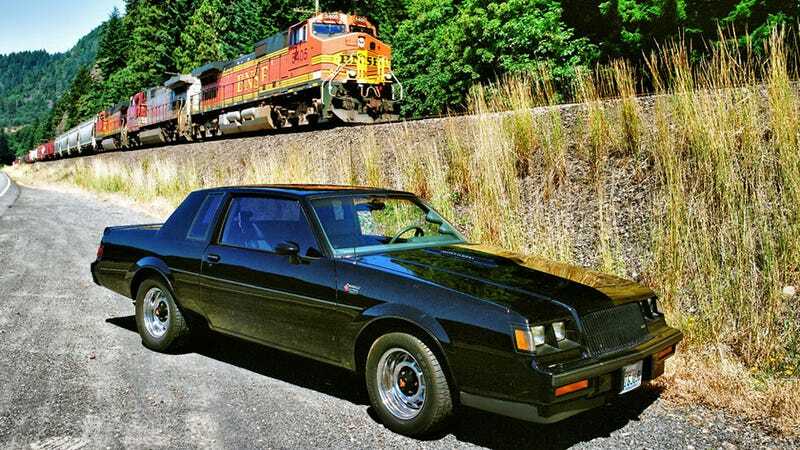 While it's hard to imagine wanting a black Turbo Buick from 1987 more than I already do, a manual transmission option from the factory would have done it. I told you about the "none more black" Buick that I believe should have left the factory with a third pedal, so tell us, What car do you think should have been made with a manual transmission?